Christmas is fast approaching now. Has everyone finished their shopping? I was so organised until I placed an order at River Island which 3 weeks later still no sign of and that was presents for three people. I went shopping earlier today with my babes (Emma) nothing like mother and daughter shopping therapy. Now just my dad left, I always struggle to buy for him. A few weeks ago my husband surprised me with a message containing this beauty and the ABH palette. One of his friends had gone to America I joked about how the palettes are cheaper there and I would die if I got them. Well he got me them! Firstly this isn’t a palette I would usually buy its very different from my natural eyeshadow colours and endless palettes which to be honest all look pretty similar. I own over twenty palettes and by this stage they all start to look the same. I promise you they are all different! Let’s talk packaging, I kept reading about how big it was, its bloody huge! Imagine two urban decay palettes side by side that’s the size of this beauty. Because of its size I don’t think it would be great for travelling, it’s pretty heavy to hold. The outside is pretty simple with silver 3D writing but it’s gorgeous. I think it really sets the tone for Metal Matte. I loved that the names are under each shade you can also find them on the back if God forbid they rub off or something. I personally hate when eyeshadows don’t have names. I love my Morphe palettes but I think if each shade had a name it’d make it feel that little bit more especial. 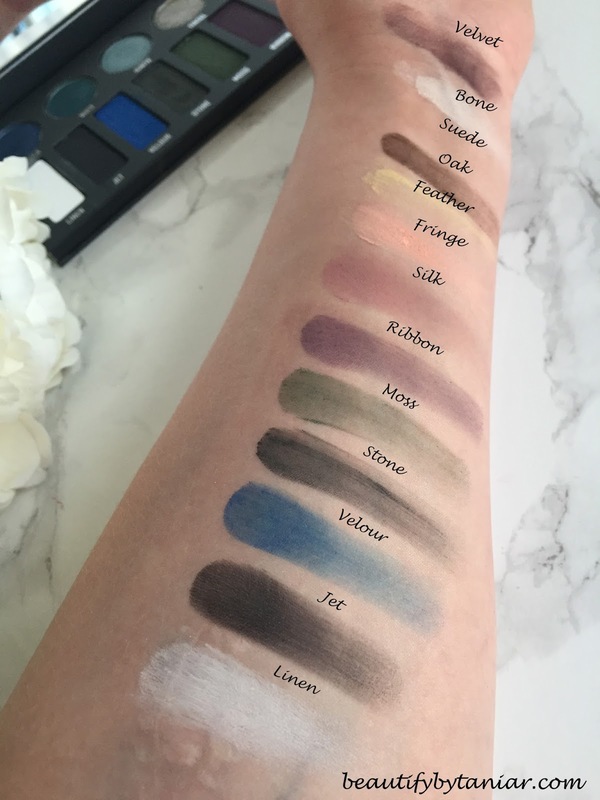 The shades have been swatched without a primer. I think these are forever going to be one of my favourites, they are so creamy easy to apply blend like a dream and are a nightmare to get off. When I went for a bath straight after these photos I had to scrub to get rid of the eyeshadow and then use my Take The Day Off to remove the rest. Win Win in my books. I have super oily eyelids and I find that most eyeshadows just melt off after a few hours even with a primer. 8 years down the line to my makeup obsession and I’m still hunting for my Holy Grail eyeshadow primer. If you have any recommendations please let me know in the comments! These just blew me away they are SO pretty, however girls with oily lids will need a primer. The first time I used the shimmer shades after only an hour or so it started going patchy. I’ve looked on a few blogs I follow and a couple of people have had this problem. I’m going to try use a glitter primer instead of eyeshadow and see if that does the trick. Some shades are worse than others. Ingite, Tinsel, Glitz and Twinkle. 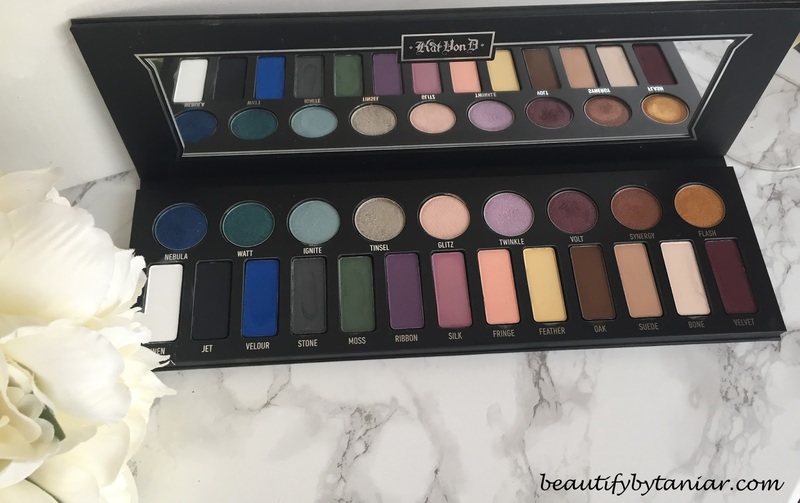 Is this palette worth the price tag? It’s so worth the money, I know it’s not everyone’s cup of tea. Hell it wasn’t mine, but as an eyeshadow junkie it’s quickly become a palette I grab. I think it’s perfect if you are wanting to add a pop of colour to your looks. You can also do some very pretty neutral looks if that’s what you’re into. I’m sure it won’t disappoint you, go ahead and buy the palette life is too short. Great review hun! 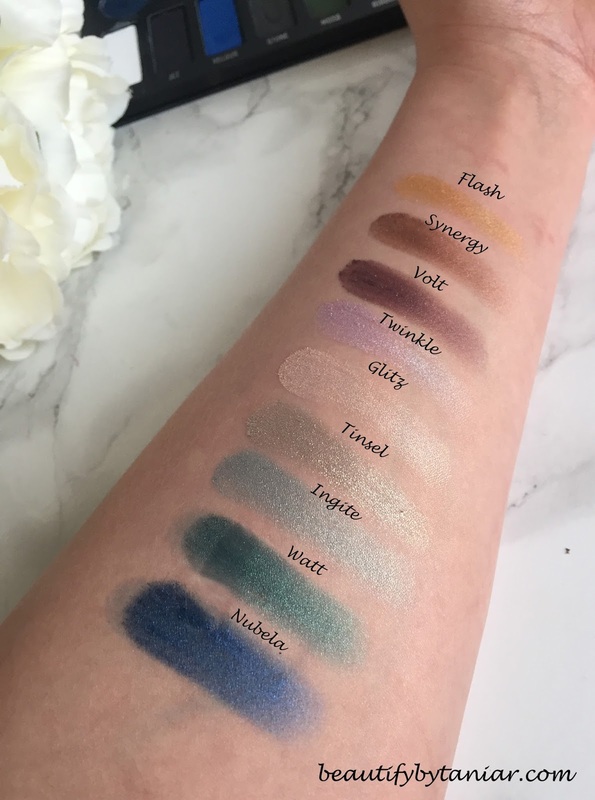 I love some of the shades in this but hate swatching matte shades because feel like you can never do them justice. I know, plus I've only just bought a camera so excited about it so hopefully I can get better photos.